Traces of a Stream: Thursday Thirteen # 20 – Losing Weight and Healthy Eating – 13 Healthy SubstitutesThat Taste Pretty Good. Thursday Thirteen # 20 – Losing Weight and Healthy Eating – 13 Healthy SubstitutesThat Taste Pretty Good. Well I made it to my 20th Thursday Thirteen, which means I am no longer considered a novice blogger. This week I thought I would focus on healthy living and losing weight by sharing some alternatives foods that might help you to reach weight loss goals without suffering. I believe if you have enough items to substitute for sugar and fat-filled foods, you will be more likely to adopt a healthier lifestyle. I am including web sites where you can go and read the nutritional values of items listed. When commenting please share a healthy item that you have in your diet as I am always looking for variety. 1. 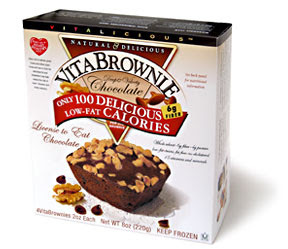 VitaBrownie – Made by the Vitalicious Company, this is a decadent dessert that will satisfy your craving for sweets and chocolate. They also make VitaMuffins, muffin tops and cakes. 2. 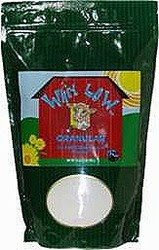 Whey Low Natural Sweetener – A sugar substitute that taste exactly like sugar, No Joke! It has 75% fewer calories, 70 – 80% lower Glycemic Index, and only 1 effective carbohydrate per serving. 3. Butterball Turkey Bacon – If you like bacon, you will probably like turkey bacon. What’s great about it is that it has only 35 calories and 0.2 carbohydrates per slice. Hint: To get the crispy effect fry it in a little extra virgin olive oil. 4. 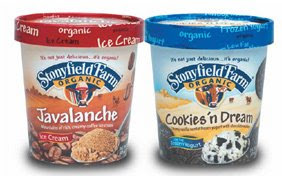 Stonyfield Organic Low-Fat FrozenYogurt – One ½ cup serving has only 150 calories, 2% of your daily fat and 15% of your daily calcium. The yogurt comes in Javalanche, Cookies’N’ Dream, Cream Caramel, Minty Chocolate Chip, and Raspberry White Chocolate Chunk. 5. Fat-Free Organic Milk – There are several brands to choose from. I started out by drinking 2%, then 1%, until I finally got to the fat-free version. Organic milk seems to keep a lot longer than regular milk. It is excellent with the VitaBrownie. 6. 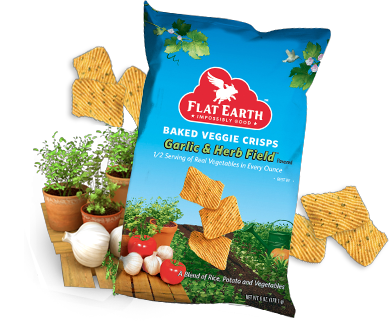 Flat Earth Crisps – These flavorful crisp come vegetable and fruit flavors. There is a half serving of fruit or vegetable in every serving and they actually taste good. These chips can satisfy your need for crunchy snacks. 7. Oatmeal – Yep, regular old oatmeal can satisfy your hunger, is low in fat, and helps to lower your cholesterol naturally. 8. 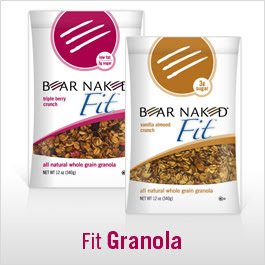 Bear Naked Granola & Trail Mix – This stuff is great! If you like granola you will love this. The company boasts of having all natural, bearly processed and utterly naked ingredients that you can pronounce. 9. Walnuts – Limited amounts of walnuts are very nutritious and great tasting. They are packed with minerals and proteins such as magnesium, zinc and selenium. Keep nuts is the refrigerator to avoid spoiling. 10. Organic Microwave Popcorn – This is a great snack sans the butter and salt. Newman’s Organic Popcorn is one brand, but there are others. Consumers concerned about fat consumption will appreciate that no partially hydrogenated oils or trans fatty acids are used. 11. 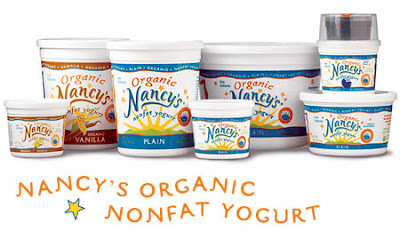 Nancy’s Organic Non-Fat Yogurt - Our fruit on top is a pure delight for those who take pleasure in mixing their own fruit and yogurt. We also have blended yogurts – you need only your spoon to stir up the fruit from the bottom. 2. Southeast Whole Grain & Supply – I was never able to get into the sunflower seeds, I do like pumpkin seeds. This company carries natural seeds and grain, but you can always buy the one in your local market. 3. Frugal Snacks - Many people who want to lose weight claim they can’t afford to purchase healthy foods. However, there are plenty of snack choices that can help you stick to your diet without blowing your budget. For example, you can snack on any of the following choices: apple slices, bananas, dry cereal, baby carrots, grapes, hard boiled eggs, and homemade trail mix made with unsalted almonds, raisins, sunflower seeds, pretzels, and chocolate chips. Great list. I will certainly be trying a few of these. I love crunchy, so I'll take a shot at those Flat Earth Crisps and the Bare Naked Granola. But my popcorn has to have salt and butter, or else, why bother? (LOL). Actually, I already do/consume a number of the things on your list. We've been drinking 2% milk and eating turkey bacon (and sausages) for years. I love fresh fruit and recently I've been preparing my own yogurt smoothies, chocked full of fruit (today I'm gonna try a cantelope and plum combo). Love me some oatmeal and I recently discovered the joys of Steel Cut oatmeal. It takes a little longer to prepare, but I can't get enough of the nutty flavor and the fuller texture. Doggone it PJ, now you've got me hungry (smile). Avocados, bananas, kumquats and lemons are four of my healthy favorites. Happy TT. I have developed so many food allergies lately it is not longer fun to even eat: sunflowers, soy, any grain but corn and wheat. I can only use corn-oil, palm, coconut (so far) and can only eat cheap white bread. I am now allergic to canola, soy, and sunflower oils. Fast food is long gone. So are potato chips and tortilla chips unless I make them myself. - And my cooking is a disaster! No oatmeal, granola, rye - no fun! 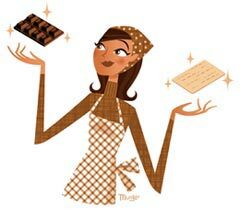 On the other hand - my chocolate allergy has disappeared so I am surviving - yep, chocolate! Some interesting foods here. I must admit, I'm a very plain eater, but have changed my diet in reecent years. Smaller meals more often, a good balance, five portions of fruit and veg a day, plenty of wholemeal and fish. Then, I must admit, I celebrate with sausages, bacon and the odd pie. Well, it looks like you and I eat very similar foods and snacks. I tend to eat celery and hommade or purchased babaganoush or hummous with celery when watching tv. That way it's got the crunch satisfaction one craves from things like chips. I also always have miso which I put a small spoon in hot water and in the afternoon it gives a "lift". You pictures are so inviting--and your comments inspiring. Happy TT. Well, I WAS going to mention Quaker Oatmeal, but you beat me to it! So how's this -- the Yogurt Parfait at McDonald's, the one on the Dollar Menu. Without the granola (packaged separately) it's only 130 calories, it's filled with calcium, and it keeps me from getting a Butterfinger out of the candy machine when I crave candy in the afternoon. I love having something tasty and nutritious (and cheap) to order off the menu at Mickey D's! This is great stuff!! I eat most of what you have here! Yummy! I haven't tried the turkey bacon... maybe I'll give it a shot with your encouragement. I will try that whey as a sugar substitute. I would be very pleased to find one that doesn't taste foul (like all those sugar substitutes in blue and pink packets do). I am wary of anything labeled as "fat free" because they are usually so filled with sugar to compensate that they do more harm than good. That seems like really good ice cream! My thing to keep from eating unhealthy snack is keep some dried fruit bar in my pocket or purse. I do really enjoye the Sun-Rype one! I love those Flat Earth Crisps. Those chips look delicious! I already know about the "good" ice cream treat! God bless. Lots of great ideas. I love popcorn. I've also started walking a lot more now that the weather is nicer. Interesting list. I'll have to check them out, especially since I'm still mourning the fact that my grocery has stopped selling my favorite granola bars. I am a huge fan of hummus...with whole wheat crackers. Yum! I love Turkey Bacon, it has the same taste but doesn't drip with fat. I'd really like to try that Bear Naked Granola. Thanks for the heads up. Great list! My family loves whole wheat pasta, Ruffles fat free potato chips, and Ballpark fat free hot dogs in addition we eat lots of fruits and veggies!!! I discovered Turkey Becon a couple of years ago and hate eating anything but it! My hubby can't even tell the difference! I'd rather not eat bacon at all that eat turkey bacon. Even the smell of it turns me off. What a great list. I need to try a few of these, too. Thanks. Turkey bacon is an excellent substitute for the regular kind. One thing that I like about is that you don't have the splatter/excess cleanup because of the grease. A healthy item that I enjoy is steamed cauliflower. After steaming it, I use a whisk to mash it up and add butter for flavor. It makes a really good substitute for mashed potatoes. [url=http://just-michael-jackson.com/deals/Michael+Jackson+Signed/]Michael Jackson Signed[/url]. Michael Jackson Glove Michael Jackson Autograph Michael Jackson Hat. Michael Jackson White Glove Crystal Commemorative . New Michael Jackson Live In Tokyo Japan Cd 9 21 87 Ltd . Michael Jackson Billie Jean Dance Shoes Leather Costume . 40, hip-hop, 80's. Your question also needs to be SIMPLE enough for her to respond without a ton of thought.